One of the ten ancient races, the Kenku are bipedal avian resembling hawks with variations in plumage being seen, who though rare, still roam the lands of Aeres. They are a curious and sometimes mischievous people much given to magik and roguish pursuits. 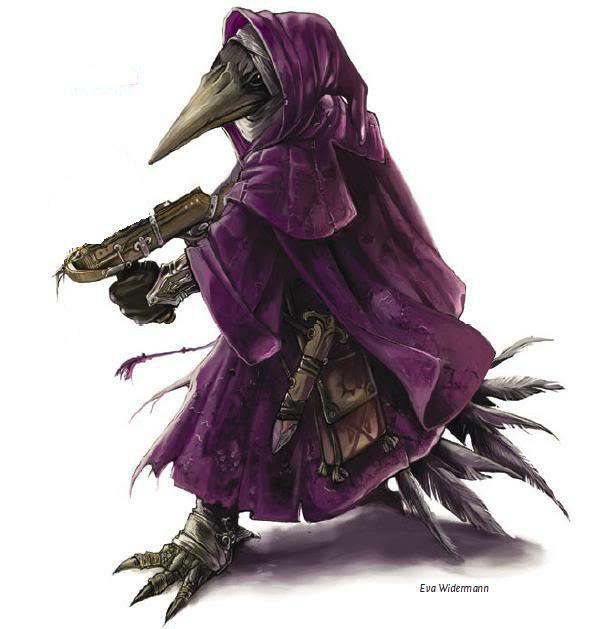 Though they are avian, only ten percent (10 %) of Kenku are born with a set of functioning wings along with the standard arms normal to their race. 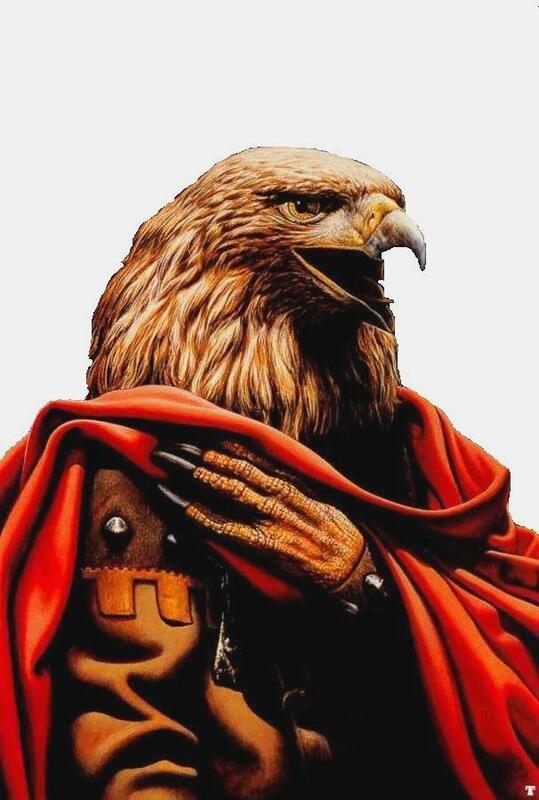 Their hands more closely resembling talons as do their feet, they eschew footwear of any kind much like Halflings. A Kenku’s talon-like hands are excellent natural weapons and inflict 1-4/1-3 points of damage, and they are naturally Ambidextrous (see non-weapon proficiencies). Kenku tend to be secretive and selfish but their love of baubles and irrepressible curiosity leads them to leave their homes and consequently may be found in many parts of the world where they often establish enclaves in large cities. Both Kenku males and female range in height from 5’ 0” to 5’ 6” tall, and are light for their size (between 75-105 pounds) due to hollo w but strong bones. This light bone structure allow Kenku to move at double the normal rate of speed, and they take half damage from all falls less than 30 feet but they receive an additional +2 points(per die) of damage from all blunt weapon attacks. All Kenku gain a +2 to Dexterity and a +1 to Intelligence but suffer a -2 to Wisdom and a -1 to Strength. Kenku are blessed with Low-Light Vision as well as natural mimicry ability giving them the Ventriloquism non-weapon proficiency as a bonus. Due to their highly magikal nature Kenku suffer a -1 to the Lifeforce score.